Starting a diet can be a difficult and sometimes daunting task. One of the most common reasons so-called "diets" fail is due to the fact that many people often put themselves on a pendulum of inconsistency. They tend to go from eating unhealthy junk food one day to an extremely restrictive diet that consists of the standard meals of chicken, broccoli and brown rice, or tilapia, asparagus and sweet potato (or any other similar variation). People often hold the misconception that any piece of candy, a cookie or a few potato chips will completely throw off their diet. The truth of the matter is that diet variation will prevent your meals from being mundane, repetitive, or just plain boring. In this day and age, there are many food items today that can be inserted into a meal plan to help provide a bit of excitement as well as prevent stagnation. The following is a list of some items that are both filling and diet-friendly. They will help mix up your meal regimen and save your taste buds from dying of boredom. I have a strong sweet tooth. If I'm not ingesting something sweet on a daily basis I tend to be an unhappy camper. 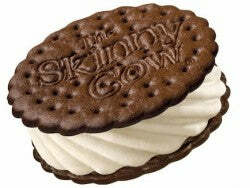 After trying Skinny Cow Ice Cream Sandwiches I can safely say they taste just as good as any type of ice cream sandwich and come in many flavors including Chocolate, Vanilla, Cookies and Cream, Mint, and Snickerdoodle. If you are craving a post-dinner dessert give these a try and you won't be disappointed. Chips are usually notoriously high in fat and carbs, hence the reason most people do not include them in their diets. I thought Fat-Free Pringles would be flavorless pieces of cardboard, but to my surprise, they taste just as good as the original Pringles and quickly satisfy any type of chip craving you may have. A decent size stack of 15 chips equates to only 70 calories and they come in Original and Sour Cream and Onion varieties. Throw in a serving or two of these with lunch and leave feeling guilt free! Greek yogurt of any kind is a great addition to a diet. It is high in protein and contains no fat. 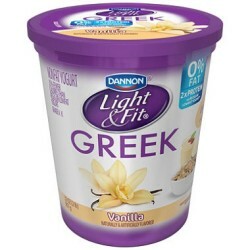 The Dannon Light and Fit variety come in several flavors including Vanilla, Strawberry, Blueberry, Caramel Macchiato, and Banana Cream Pie. These are great high protein choices to add as a snack in between meals. Greek yogurt also helps satisfy mid-afternoon sweet cravings. Instead of reaching for that bag of M&M's pick up one of these instead. 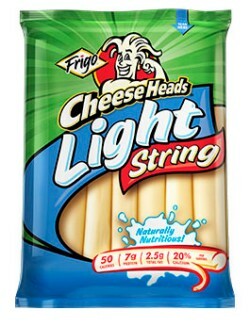 String cheese was something most of us knew about and loved. It was part of our elementary school lunches growing up as kids. Pulling off cheese string by string is an enjoyable experience in its own right, especially to an 8-year-old from the 90?s. Now, these same Cheeseheads you knew and loved as a kid are available in a light variety. At only 50 calories, go ahead and throw one or two in your Power Rangers lunchbox and pretend you're a kid again! Do you ever crave a sweet chocolate brownie while on a diet? What kind of a question is that? Of course you do! 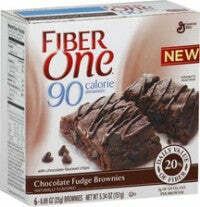 Fiber One makes a variety of different low-calorie treats. These brownies come in several varieties including chocolate, chocolate chip, and lemon. These small treats come in at less than 100 calories and will prevent you from ordering that large slice of cake with lunch. Almonds are a great source of healthy fats and are also a good way to fill you up quickly when you are in a hurry. These 100 calorie packs also help you to practice portion control, and come in flavors including Whole Natural and Sea Salt. If you're on the go and looking for something quick to grab, pick up some of these. 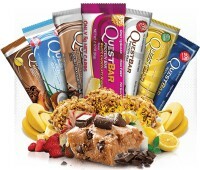 Tiger Fitness stocks 17 different flavors of Quest Bars. Learn more by CLICKING HERE. Quest bars have become extremely popular in the last few years, and for good reason. These are quite possibly the best tasting protein bars on the market, and they help satisfy sweet cravings and give you that extra bit of protein to help supplement your diet. My favorite flavors include Double Chocolate Chunk, Cookie Dough, Cookies n' Cream, and Chocolate Peanut Butter. If you're hungry, don't listen to the commercial and grab a Snickers. Grab one of these instead and you'll be happy you did. When it comes to dieting, beef jerky is a snack option not many individuals think of. 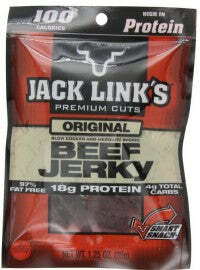 However, beef jerky is low in calories and high in protein. These 100 Calorie options pack a mean 18g of Protein per serving and come in flavors including Original and Teriyaki. If you're looking for a snack that will supplement your diet and provide some extra protein, look no further than these beef jerky packs. 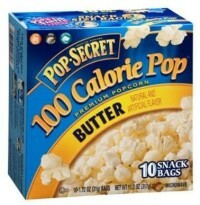 This low-calorie variety of popcorn comes in a rich, buttery flavor without all the added guilt of the mysteriously tasty yet fat butter covered movie theater variety. Next time you decide to catch the latest flick at your local theater sneak in a bag of this in your jacket pocket. don't worry we won't tell anyone! Snack Packs were another kid's lunch staple back in the day, and for good reason. These treats ring in at approximately 100 calories and satisfy those post-lunch sweet cravings. Several varieties are available, and each one is sure to satisfy. 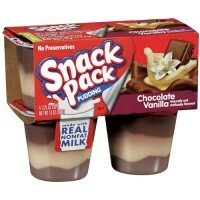 At approximately 25 cents per pudding pack, these are also an extremely cost-effective snack option. Variety is the spice of life, or so they say. Nothing could be more true when it comes to your diet. By having a variety of options available at your disposal you can make smart and informed decisions without feeling the unnecessary disappointment and stagnation when you open your Tupperware-filled container. By adding in these smart choices your taste buds can be easily pleased allowing you to maintain a strong steady course on your diet instead of veering off to a road of disappointment! Mix it up and enjoy what you eat! Next article Processed Meat: Is it Cancer Causing and as Dangerous as Smoking?